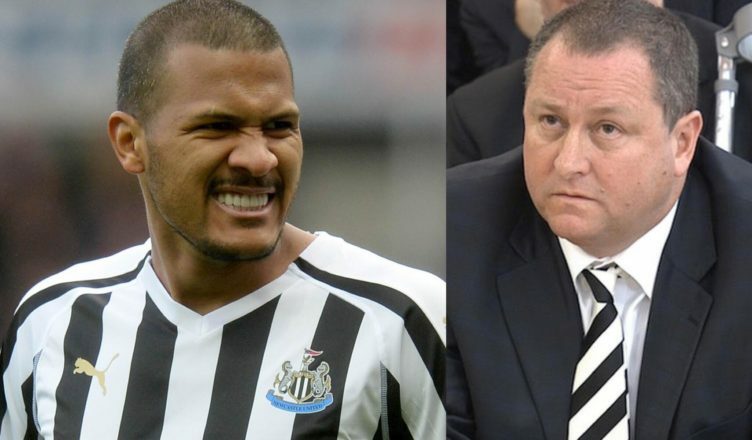 Ridiculous new Salomon Rondon claims emerge – This has Mike Ashley written all over it.. – NUFC blog – Newcastle United blog – NUFC Fixtures, News and Forum. According to the Daily Mail, Newcastle United are ‘reluctant’ to pay over £12m for Salomon Rondon – with it seeming as though the 29-year-old Venezuelan doesn’t have enough ‘sell on value’ for a certain Mike Ashley. This really would be a ridiculous but not surprising stance by the Newcastle hierarchy as yet more penny pinching by Mike Ashley threatens to affect our transfer plans. Rondon has been in brilliant form for Newcastle this season, already bagging 10 goals and 5 assists as manager Rafa Benitez gets the best out of the on loan West Brom man. With the current inflated transfer market and lack of proven Premier League strikers available, it is crazy Newcastle have not already agreed a permanent deal to sign our current number 9. £16.5m is the release clause we can take up if the Baggies don’t go up – peanuts in the current market and good value considering how vital he is in our system and in persuading Benitez to stay on as boss. Quite where and why Newcastle get £12m from is beyond me but not being willing to pay the going rate is a theme for the whole Ashley era, a policy that will continue to hold us back. We should be signing Rondon AND another top striker if we want to push on but with Ashley at the helm that of course is very, very unlikely. It is this approach that continue to frustrate and alienate Benitez. Re-sale value is desirable be should not be the only thing a club considers when signing a player – the likes of Xisco were pinpointed as potential ‘long term assets’, we need good players to improve the side and push up the table, regardless of age. He’s our top scorer , our top assister and is pivotal to how Rafa Benitez wants us to play. If that’s not proof that you’re worth paying decent money for then I don’t know what is. Let’s hope West Brom don’t go up and some common sense can prevail here but as always with Ashley, expect more brinkmanship and penny pinching to follow all summer on this one. That’s what you get with an owner who knows nowt about football. Knows the price of everything but the value of nothing. Simon Riddlesden publishes an article slagging off Ashley! Well guess what? If this is any indication of Rafa’s budget- then that means we’ll have a new manager and no incoming players of any calibre which means another struggling season at the lower end of the league.